He doesn’t like to do interviews, preferring to lay low in Kentucky. Not because he’s anti-social, but because he likes the quiet life. He’s a good guy, though. 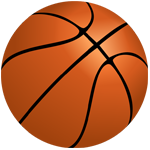 I first met him when he was the shooting coach for the Denver Nuggets, hired by his former Kentucky Colonels teammate Dan Issel, and it was like talking with the friendly neighbor hardly anyone ever sees. Dampier agreed to this long conversation because he was about to have his jersey number retired by Southport High School, on the 50th anniversary of his senior season in 1963. His dead-pan sense of humor and lack of ego are typical for Hoosiers of his era and he had a career that provided plenty of conversation topics. Dampier is a classic Indiana shooter, one of the best to come out of the state. He was an Indiana All-Star in ’63, although not Mr. Basketball. (That honor went to fellow One on One alum Rick Jones.) Dampier had the best career of all the Indiana All-Stars, though, first at the University of Kentucky and then with a 12-year career in the ABA and NBA. He wanted to go to IU, but he turned out to be another one of the guys Branch McCracken let get away via insufficient interest. (Hall of Famers Clyde Lovellette and Oscar Robertson are among the others.) He went to UK to play for Adolph Rupp, then wound up playing on the team that lost the legendary game with Texas Western for the NCAA championship in 1966, and has an entertaining recollection of that one. He played all of the ABA’s nine seasons for the Colonels, winding up as the league’s all-time leading scorer. 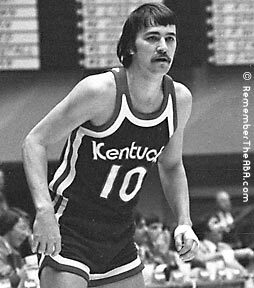 When the Colonels franchise folded, he contacted Slick Leonard about joining the Pacers, which would have seemed the perfect full-circle way to end his career, but found no openings. He played his final three seasons for San Antonio in the NBA, where, despite the handicap of not having a three-point line, he was a valuable backup. Dampier was voted into the Naismith Hall of Fame in 2015, the fourth person selected by the ABA Committee, following Mel Daniels, Roger Brown and Leonard. They couldn’t drill for Pacers forever, and Dampier was deserving.